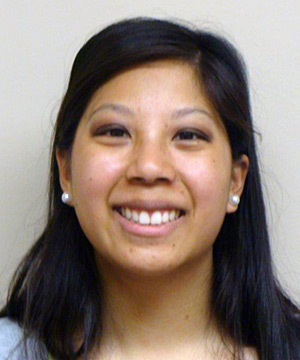 The Library’s newest staff member is Technical Services Assistant Ariana Lim. Ariana’s duties include cataloging and processing new library resources and scanning materials for our digital collections. You can reach her by email at alim@lewisu.edu, or just stop by the Library and say hi! Welcome to Lewis University Library, Ariana! What aspects of your new position as Technical Services Assistant are you most excited about? I am most excited about all the aspects of my job: getting to see the new books that the library is acquiring, digitizing and preserving different library materials, and getting to know the Lewis University community when staffing the research desk. What made you decide to become a librarian? What do you like most about it? I decided to become a librarian after I was a student worker in a public library. During my time there not only did I shelve books, but I also had the opportunity to interact with people and help them find what they were looking for. Overall, my favorite part about being a librarian is the versatility. Librarianship encompasses everything having to do with information management. Because of this, librarianship includes web design, coding, outreach activities such as scavenger hunts, and archives (information preservation), to name a few. That concern definitely exists. At the same time, I think about how much exists on the Internet and the need for someone to organize what is out there. Additionally, there is a need for someone who is able to effectively search and sort out true and false information. That someone, or rather someones, are librarians. Helping people find the information they need, swimming, biking, science, and the continuation of cultural institutions such as museums, zoos, and aquariums. Right now I am doing a reading challenge called Read Harder. One of the categories is “Read a book about sports.” Because of this I am reading Leaving Mundania: Inside the Transformative World of Live Action Role-Playing Games by Lizzie Stark. The book covers the origins and modern day practice of LARPing (Live Action Role Playing).